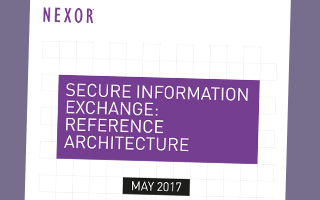 As part of our specialisation in addressing secure information exchange (or cross-domain) challenges, Nexor has developed a technology portfolio based on our Secure Information eXchange Architecture. SIXA consists of a number of configurable building blocks that follow best practice design patterns from the National Cyber Security Centre (NCSC) (formally known as CESG) for the import and export of data across security domain boundaries. The products in Nexor’s technology portfolio align to the architecture and form the technical basis of our secure information exchange solutions. Whilst not all organisations we deal with are within the assurance jurisdiction of the NCSC, the use of such a modular architecture provides numerous benefits to all. Find out more about our architecture and technical approach to secure information exchange. Nexor Cloud SIXA – an implementation of SIXA in the Cloud, providing a layer of high assurance alongside platform security controls. Nexor’s components are developed at our secure facility using our CyberShield Secure methodology, which is based on industry best practice and years of experience of working in the arena of technology security. These components may be delivered as separate servers; co-located on the same server, or as virtualised components, depending upon the detailed needs of each solution.